If you know you’ll be wanting to add to your brood down the track, you may be wondering when is a good time to get pregnant again. While conception is dependent on a number of factors (and not just when we’d like it to happen! ), you may hope to have your children closer together or to space them out. So what’s the ideal age gap for sibling bonding and also family stress? Well, that all depends on lots of things and the short answer is, there isn’t really one. But here’s what each might look like to help you decide what might be best for your family. Talk about a quick turnaround! A one year age gap between babies means you’ll be a very busy mama. Two littlies under two is a handful and will be hard on your body. That said though, a close age gap does have some big pluses. 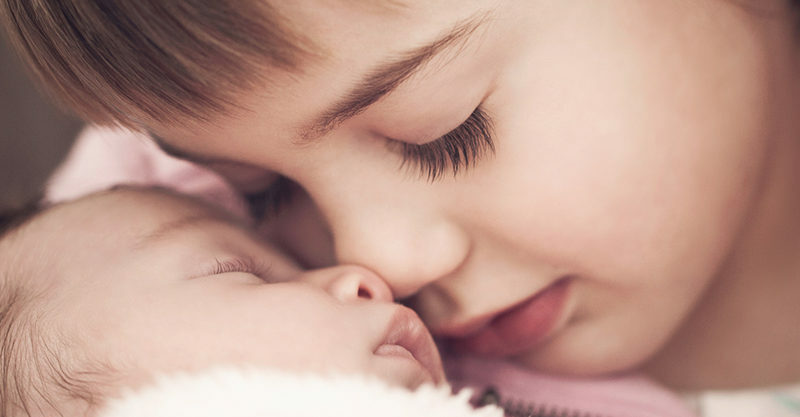 Sibling buddies: Being born so close is great for sibling friendship. 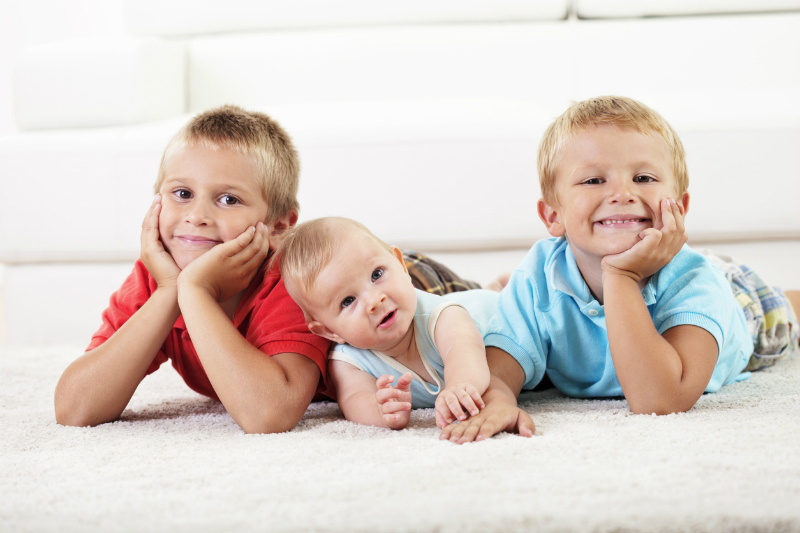 While there will be some squabbles over toys, your kids will likely play together as they grow up. Your eldest won’t be too jealous: Your first child won’t have developed a strong sense of identity or jealousy by the time his younger sibling enters his life. As such, he’ll welcome having a playmate and won’t be too upset about sharing you. You’ve got this: You haven’t had much time to forget how to care for a newborn and as such you’ll slip right back into that role. You may have more time: You’ll be sleep deprived at first but over time you may feel like you have more time than mums with a bigger age gap between their kids because yours will play together. Return to work: Having your babies so close together may mean you can return to work sooner than if you’d had a bigger age gap and hence, had more time out of the workforce. Your body: Most obstetricians recommend not getting pregnant again until your first baby is at least a year old. This gives your body time to recover from childbirth and also restore your depleted iron and calcium levels. Giving birth less than two years after having a baby also puts your next baby at a higher risk of being born prematurely. Also, if you had a c-section, it may not be recommended that you deliver your next baby vaginally if that’s what you want. It’s full on: Combine all that newborn sleep deprivation with parenting a toddler who still needs you at night and isn’t toilet trained, and it is a lot of work. Your attention is divided: You may find it hard to develop a strong bond with your newborn with your toddler demanding your attention. Doubling up on baby gear: Because your toddler and your firstborn are so close in age, you may find you can’t just hand down her cot to the baby because she’s still using it. Likewise, you may need to buy a double stroller. A popular age gap, two years is favoured by many because it means your kids are still close together in age, but you’ve also given your body time to recover from the birth of your first born. Your and your baby’s health: Your body has had enough time to recover from birth and restored the nutrient levels it needs to grow another baby. You are also at a reduced risk of delivering pre-term than if you’d gotten pregnant earlier than 18 months between pregnancies. You know what you’re doing: A two year gab between babies means you’ll have the confidence of a seasoned mum, but also won’t have forgotten the basics of caring for a newborn. 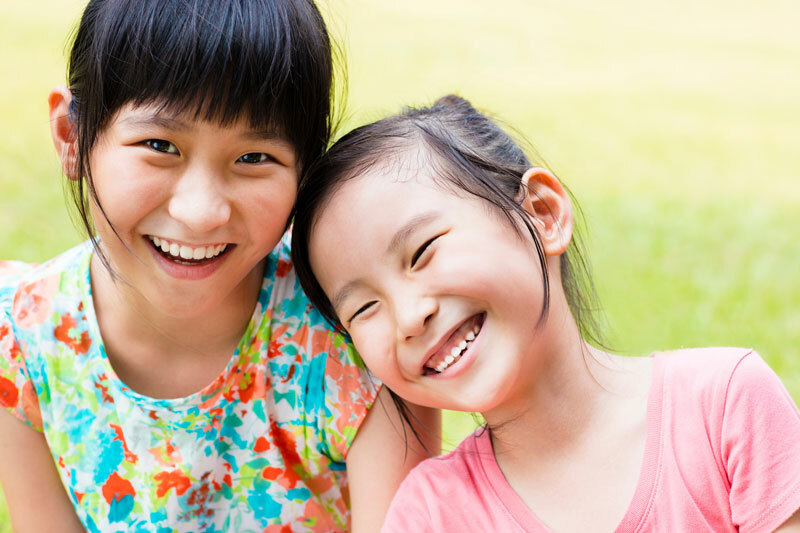 Siblings who love the same thing: A two year age gap means your children are close enough in age to enjoy many of the same activities. Sibling rivalry: You may find your children squabble more than if you’d had a tighter or a wider age gap – for example when ‘sharing’ toys in the toddler stage. Behaviour: Your firstborn might be more demanding or act out to get your attention when she feels the new baby has it. Toddler regression: You may have toilet trained your toddler before her new brother arrives, but suddenly she needs nappies again once you’ve brought the baby home. Regression is common in the toddler years, especially when little ones struggle to cope with change. It’s a handful: For a while you may struggle to cope with a fussy newborn and a toddler going through the terrible twos. A gap of three years between babies may be less chaotic and allow for more one on one time with each child. Here are some of the pros and cons. Safer: Research shows that women have the lowest risk of labour complications when a second baby arrives around three years after their first. Your body has also had time to recover from childbirth. Potentially easier: Your three-year-old will have some independence and hopefully be able to entertain himself for short bursts of time when you are changing nappies or feeding your newborn. He’ll also likely be toilet trained. One on one time: Your three-year-old may attend preschool now for a day or more a week, giving you some beautiful one on one time with your baby. Different needs: A baby has very different needs to a preschooler, so you may feel pulled in different directions. Sibling jealousy: Your older preschooler has a greater capacity to realise things. He knows the new baby is sapping up your attention and may lash out at you or his new baby sister. You may have another baby: As your preschooler feels out of sorts with the new baby, she may revert to acting like a baby herself to get your attention. For example, she may start babbling instead of talking or demanding a dummy. An age gap of four or more years between siblings means you may (we said may) be ready to dive back into the newborn sleep deprivation fog and also have a helper. Here’s some things to think about. More one on one time: As your older kids will not be as demanding as they were as toddlers, you might find you have more quality one on one time to spend with them doing activities. Your child can help: At four years old or older, your eldest is more than capable of getting you a nappy or helping in other ways such as entertaining the baby. Your eldest will be more mature: Your eldest child will have outgrown his aggressive toddler ways and will be gentler with his baby sibling. He will also be able to process it all a bit better and will feel less threatened or insecure. You know what you’re doing: You’ve been doing this mum-thing for a while now so will feel more confident. Birth complications: If you are over 35, you are at a higher risk of having birth complications. Split activities: With a wider age gap you may find your older kids are not interested in going to the park and so you may find you and your partner spilt up family activities between the young children and the older kids as they grow up. You may feel rusty: It’s been a while since you had to breastfeed all night or try and decipher all those newborn cries. 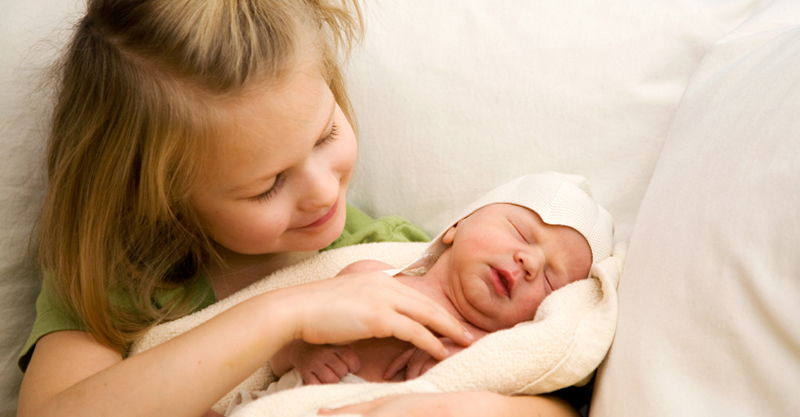 You may feel rusty and a bit in shock at first at how demanding newborns are.